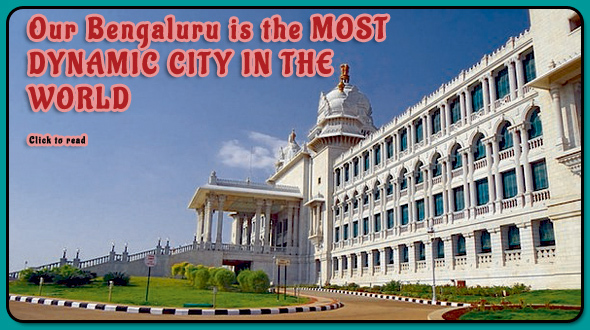 Bangalore, a real cool place on Planet Earth is the capital of Karnataka, a major state in the southern part of India. It is indeed cool - the people, the place and of course the weather. This website is dedicated to Bangalore and its cool people. BWith crisis-hit Jet Airways further curtailing its operations, there isn’t a single service of the carrier operating out of Bengaluru as of Saturday. A team of four people has been travelling across the lanes of South Bengaluru in the scorching sun, mapping each tree on the street on an app. Project Vruksha, the technology-enabled census launched on March 17, aims to document all the trees in the city. The team took up Pattabhi Ram Nagar as the pilot ward and 20 days of hard work yielded exhaustive information on 100 trees on the app. So far the 100 trees marked in the census include Gulmohar, Rain tree, Mahogany and Pongame Oil tree species, which are around 40 years old,” said conservationist Vijay Nishanth, also known as Bengaluru’s Tree Doctor, who is spearheading the project. “As we are a small team, this mapping in ward 168 will take another month for us to complete. Then, we will move to Jayanagar east (ward 170). We are also testing the app for any technical issues and plan to upgrade it further,” Nishanth added, pointing that the data uploaded is static at present. In view of Prime Minister Narendra Modi’s visit to Bengaluru to address a public meeting, on Saturday, the city traffic police have issued an advisory to citizens to help tackle the traffic. The Prime Minister will be addressing a public meeting at the Palace Grounds. According to reports, heavy traffic is expected around Palace Grounds, as a result of which parking restrictions have been issued in the area. The meeting will be held at Sri Krishna Vihar at Palace Grounds in Bengaluru from 4.30 pm onwards. Modi will be joined by his cabinet members at the meeting. For those travelling from Bengaluru South to the Kempegowda International Airport: Go via Basaveshwara Circle to Old High Grounds P.S. Junction and make a left at T.Chowdaiah Road to reach Windsor Manor Junction. 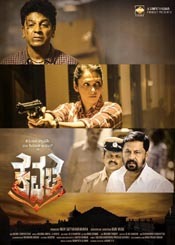 At Cauvery Theater Junction take a left turn at Bashyam Circle and a right at Jeevaraj Alva Road to reach Sadashivanagar P.S. Junction. From there via New BEL Road go towards Hebbal flyover and move towards KIA. For those travelling from Kempegowda International Airport towards Bengaluru East: Take the Hebbal flyover underpass and then a left onto outer ring toward towards Nagawara Junction via Tannery Road. Upon reaching Hennur Junction, move further ahead. From Kempegowda International Airport towards Bengaluru West, South and North West: Go from the airport to the Hebbal flyover underpass and take a right turn at Kuvempu Circle then a left at B.E.L Circle to reach Sadashivanagar P.S. junction. From there make a right turn to reach B.H.E.L Circle and take a left turn at Maramma Circle. Upon reaching Margosa road go past K.C. General Hospital to move further ahead. Eat right, sleep early, exercise hard, repeat—a popular mantra for a healthy living. Simple enough to say but excruciatingly difficult follow. There are, however, varied parameters that go into deciding whether a person is living a healthy lifestyle. 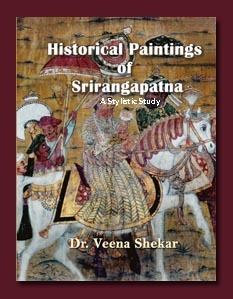 If one goes by a recent study, then Bengalureans seem to be doing it right. GOQii, a preventive healthcare company, conducted a study which hails the IT-hub as India’s healthiest city. The study took into account the BMI, lifestyle diseases, stress, sleep, food habits and smoking and alcohol levels of the citizens to arrive at the conclusion that among the urban Indian areas, Bengaluru is the healthiest of cities, followed by Delhi NCR, Hyderabad, Mumbai and Chennai. Just like other metros, Bengaluru too has to deal with heavy traffic, work stress and other urban issues. So what are Bengalureans doing differently to rise above the rest and maintain their fitness through it all?